Kevin O’Hara is the Vice President of Urban and Government Affairs for the National Recreation and Park Association. Keri Bales spent over 25 years on the streets of Los Angeles. Her entire world — a tent, some belongings and her dog, Luckybutt — could be found in a small, hidden-away area nestled between the train tracks and a city park. It took 25 years before an advocate stopped by to have a real conversation with her, which culminated in her finally being connected with the resources she needed to find permanent housing. Kerri has been off the streets now for over a year, and has become an advocate for other individuals experiencing homelessness by sharing her story. Her words shook the entire room of attendees at a recent NRPA Innovation Lab in Los Angeles, during which we began to tackle the complex issue of homelessness and what we as park and recreation professionals can do to address it. As you all very well know, park and recreation agencies are often on the front lines of combatting homelessness issues. While many agencies and their employees want to help homeless park users like Keri, there is a demonstrable challenge in addressing homelessness with compassion while staying aligned with our park and recreation mission. We came to Los Angeles, which is home to recent ballot measures that will fund affordable housing and homelessness services, to learn how their city is working on all fronts, including in parks and recreation, to end homelessness. 77,486 (or one in five) were considered “chronically homeless” individuals. Since 2007, homelessness has dropped by 15 percent (97,330 people) and between 2015 and 2016 declined by three percent (or 14,780). Providing upfront data, according to Roman, is critical to accurately framing the issue of homelessness. Oftentimes a single negative personal experience with homeless individuals can shade our views on the topic overall. Inspired by what they learned at the Lab, Sasaki and Associates, a top flight planning and design firm based in Boston, has since developed and rolled out a fabulous tool that gives historical background, context, and some solutions to addressing homelessness: http://www.understandhomelessness.com/. Armed with some facts about who is experiencing homelessness in America, we dove into how the housing first model is being applied in cities across the country. Attendees were briefed on the infrastructure to deliver homelessness services and the continuum of care model. They heard from other experts about the work being done that can help park and recreation professionals who interface with homeless individuals in their parks. We know that parks and recreation alone can’t create thousands of units of housing, or fix broken and siloed mental health and addiction social services, but there are ways that we parks and recreation professionals can contribute to solutions. Based on high level discussions at the workshop among park and recreation leaders, the following are a few examples of policies, programs and partnerships that forward thinking agencies across the country are working on, and perhaps these models can translate to your community. Experiencing Homelessness? Visiting a library, or rec center? Good. You are in the right place. 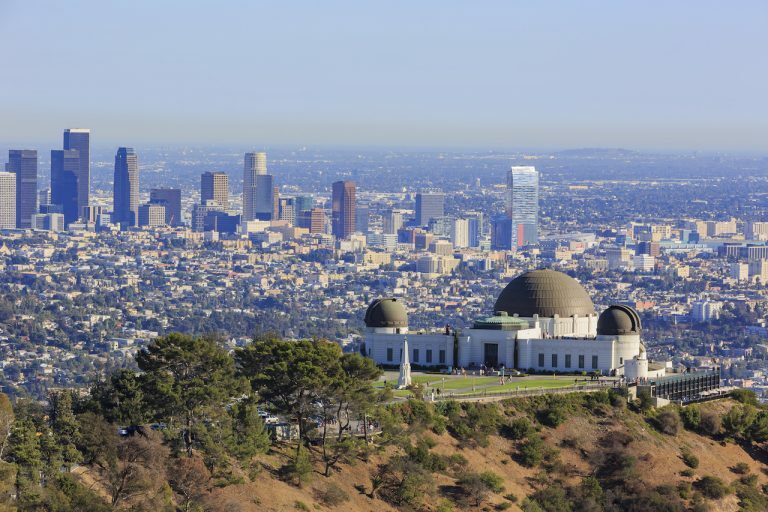 Los Angeles and other cities have adopted a “no wrong door” policy that encourages individuals experiencing homelessness to seek out assistance at any city owned facility. Many individuals experiencing homelessness struggle with what to do with their belongings. It’s hard and stigmatizing to drag around belongings when you are trying to navigate social services. Westminster Recreation Center in Venice Beach is partnering with a non-profit to allow for safe and sanitary storage of individuals belongings, allowing them the time and peace of mind to get a driver’s license or ID, visit a doctor, or meet with a caseworker. Individuals experiencing homelessness are often looking for a clean and quiet place to wash up. Many agencies around the country that provide showers have used these interactions with their homeless customers to highlight meal programs, after school and out of school enrichment programs, and trainings that are held in their centers. We know that parks and recreation aren’t the answer to ending homelessness in America, but we do know that we have a moral responsibility to help those in need of assistance by pointing them in the right direction. There are resources out there to help you do your part, and there are folks out there who are trained and dedicated to serving the homeless like you are trained and dedicated to serving the public in providing critical places, spaces and programs to your cities. Let’s not pretend we’re in this alone, and make sure that the next time you see someone like Kerri in one of your parks, that you’re armed with the courage, compassion and, most importantly, the information to get her off the streets and back on her feet. Our suggestion is very fast transportation to outlying areas where 3D printed homes are built at cost. No neighborhood need drop in property value and reduce city tax revenue to build an affordable greenfield city of right-sized homes. Every individual has different needs and as well meaning as HUD is they do not provide a home the size and affordability that the homeless persons historically have been able to support. If affordable housing is a 10 minute ride on a subsidized fare then homes that are appropriate could be built for them in these exurbs. They would still have fast access to the city where they find support they live on. Modifying their behavior to accept a nicer home that suits their need is a challenge as everyone is an individual and wants different things. Most homeless people would prefer an upgrade that allows them to be as they wish to be but not in the park system not suited for that purpose. Dual mode 180 mph electric vehicles powered by PV solar panels is our suggestion. Buying one 3D printer and taking donations to buy the concrete and wire to feed the machine is the other half of this suggestion. Land is always available 21 miles out from any city that would fit this purpose.